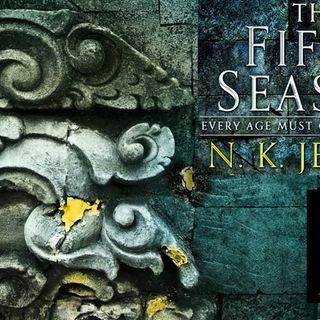 Many thanks to Jason for commissioning this episode, the penultimate episode of The Fifth Season, one of the most intensely emotional books I've read in a long time. This episode, we find out that Syenite and Essun are indeed the same person, which was a theory that I sort of let drop because I assumed that the author wouldn't play the same "trick" a second time. I use the word "trick" even though that really cheapens what she's done here because it's ... See More really the easiest way to say that I was too stupid to notice something. Also, there's a huge time jump so at this point she's got a child and a whole new life going on. And we know because of what happens later with Essun that this doesn't last, and I'm not excited about finding out about that. Thank you so much for listening, and I will see you all again soon with the final episode!